McFadden's Blog - Hardwood & Hardware Wholesaler: Staff Spotlight! May 2017: Bruce Lucas! Staff Spotlight! May 2017: Bruce Lucas! 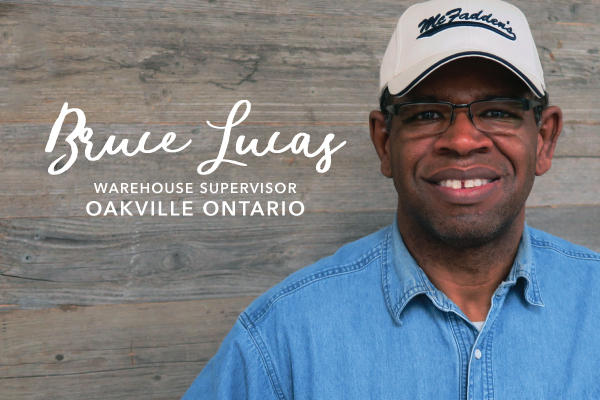 Bruce Lucas is a warehouse supervisor in our Oakville, ON branch. He is one of our longest standing employees, having joined the McFadden's team 28 years ago in 1989. What are your favorite songs that you rock out to when nobody else is listening? What was your first record that you ever owned? What’s a weird fact you happen to know? Flamingos aren't really pink, they turn pink from the food they eat. "Do it for your health, not the money"
Everyone should know how to cook! It's a really friendly crowd. How long have you been with McFadden’s? Staff Spotlight May 2017: Marc Leger!